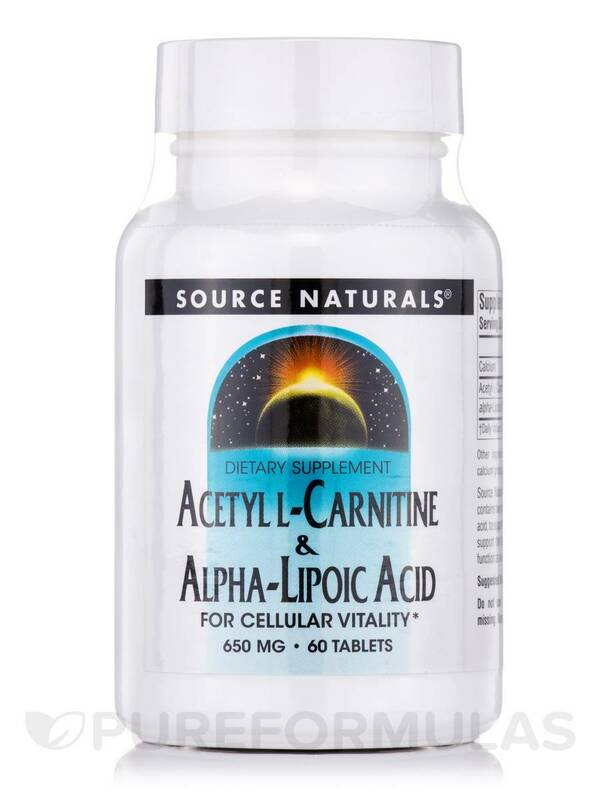 Source Naturals Acetyl L-Carnitine & Alpha-Lipoic Acid contains two critical nutrients‚ acetyl L-carnitine and alpha-lipoic acid‚ to support your vital metabolic functions. These compounds support the body's own system for the maintenance of cell function as we age. Silicified microcrystalline cellulose‚ dibasic calcium phosphate‚ stearic acid‚ silica‚ and magnesium stearate. 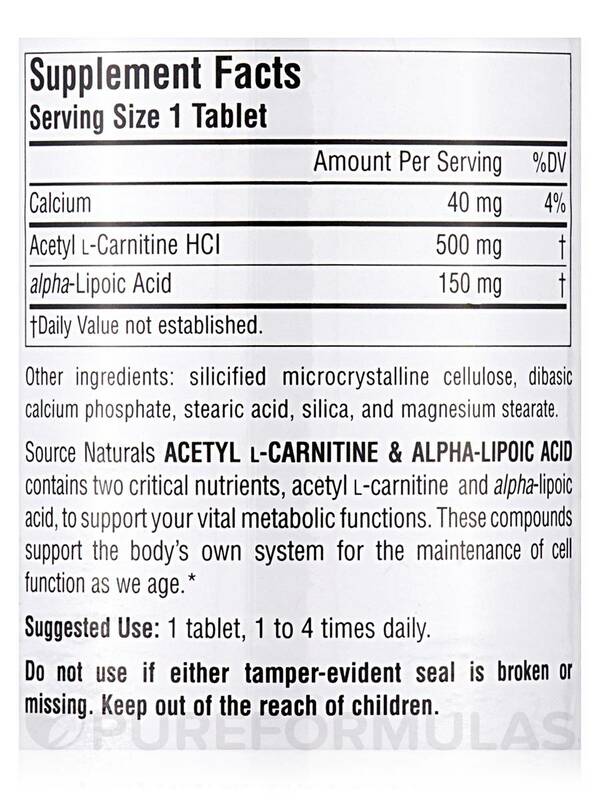 1 tablet‚ 1 to 4 times daily. 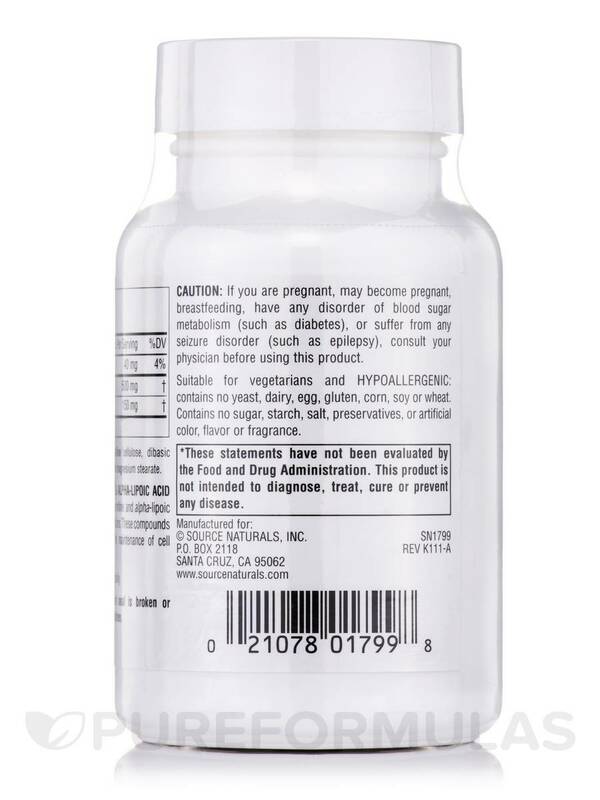 If you are pregnant‚ may become pregnant‚ breastfeeding‚ have any disorder of blood sugar metabolism (such as diabetes)‚ or suffer from any seizure disorder (such as epilepsy)‚ consult your physician before using this product.Do not use if either tamper-evident seal is broken or missing. Keep out of the reach of children.Suitable for vegetarians. I have been using this product for a few years now. 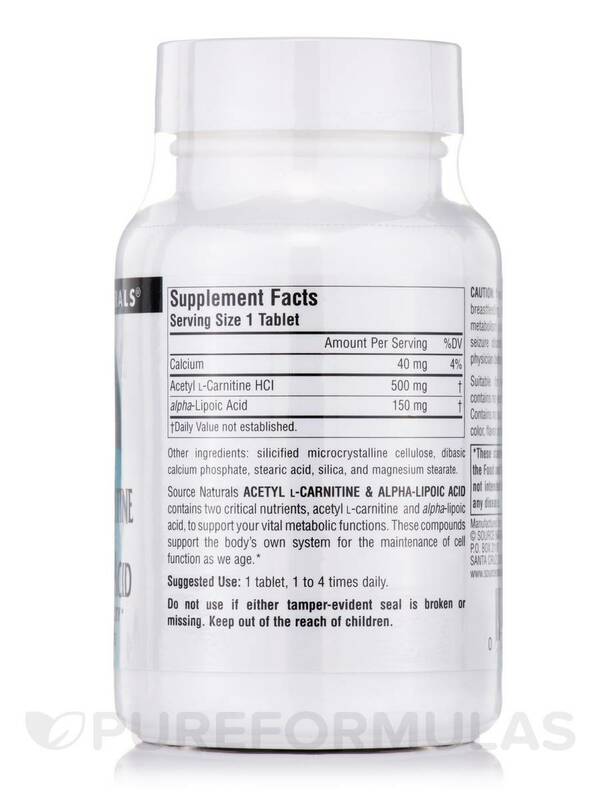 I stopped taking it for a few months as I was trying to eliminate some of my supplements but I noticed a difference in my memory failing me. 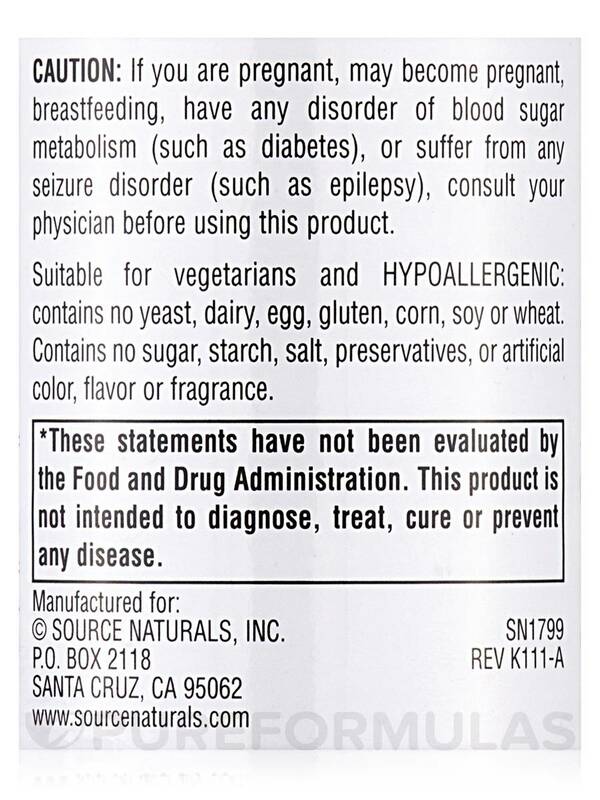 I have started taking this product again and my memory has improved. I am also giving it to my husband. You can tell the difference in the improvement of memory.